William Schlichter is an award-winning screenwriter and author specializing in science fiction and the phantasmagorical world of the undead. 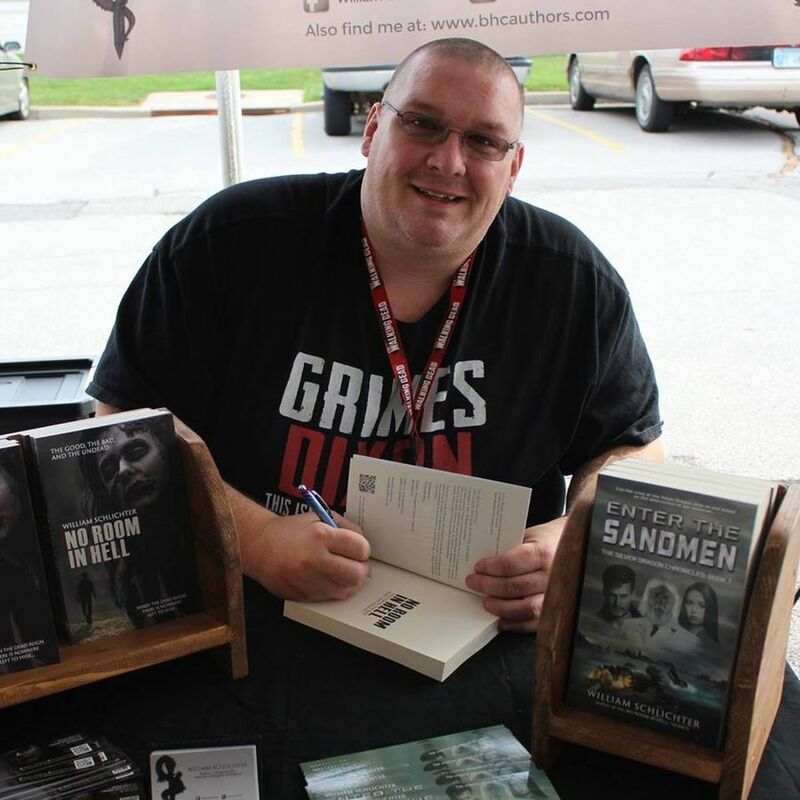 His popular No Room in Hell and Silver Dragon Chronicles series are fan favorites, and he enjoys spending time on the convention circuit. His full-length feature script, Incinta, is a 2014 New Orleans Horror Film Festival finalist, a 2015 Beverly Hills Film Festival finalist, and an Official Selected finalist in the 2016 Irvine Film Festival. William also placed third in the 2013 Broadcast Education Association National Festival of Media Arts for his TV Spec Script episode of The Walking Dead.